The cryptocurrency markets posted slight gains over the weekend and have recovered slightly from last week’s dip that sent most cryptocurrencies, including Bitcoin, to fresh yearly lows. Despite the current price action being seen as capitulation by some investors, one analyst claims that the crypto bear market is still far from over. At the time of writing, Bitcoin is trading down nearly 4% over the past 24-hour trading period at its current price of $3,500. This past Friday, Bitcoin set a new 2018 low at just under $3,300 on the aggregated markets. Over the weekend, Bitcoin rose to highs of $3,650, and has been trading sideways between $3,400 and $3,600 in the time since. Stephen Innes, the head of Asia Pacific trading at Oanda, offered a pessimistic view of the current state of the markets while speaking to MarketWatch, claiming that Bitcoin’s lack of use-cases is contributing to the persisting bear market. “Bitcoins have gone well beyond the ridiculousness of tulip bulb mania. It’s has been a disastrous year for cryptos, and by all indication, the current bear market could go from bad to worse with no fundamental or underlying reasons…” Innes explained. Despite his pessimism, Bitcoin is actually seeing increased adoption, and it is clear that institutions are increasingly recognizing it as a powerful asset. Recently, Matt Hougan, the global head of research at Bitwise, explained that the entrance of major institutional investment groups, including ICE, Fidelity, and major universities like Yale and Stanford, is driving investor’s interest in regulated cryptocurrency investment funds. “With significant positive developments on the horizon, including the launch of the Bakkt bitcoin futures exchange from ICE, the launch of Fidelity Digital Assets, and the continued movement of institutional investors like Yale University and Stanford University into the crypto space, we have seen significant inbound demand for high-quality bitcoin and ether funds,” Hougan said. Although some analysts may be pessimistic regarding the future of Bitcoin, its increasing rate of adoption as both an asset and as a currency signal that the best is yet to come. Bitcoin’s increasing volatility has been a bad thing for the altcoin markets, and its latest drop has led many altcoins down 4% or more. At the time of writing, XRP is trading down nearly 5% at its current price of just over $0.30. XRP seems to have established the $0.30 region as a level of support, and only briefly dipped below it this past Friday when Bitcoin fell to under $3,300. XRP is still trading above its 2018 low of approximately $0.24, which was set in early-August. Ethereum is presently trading down over 6% at its current price of $91.5 but is up slightly from its recently establish year-to-date low of approximately $84. Ethereum is currently trading down nearly 60% from its one-month high of $213, which was set in early-November. 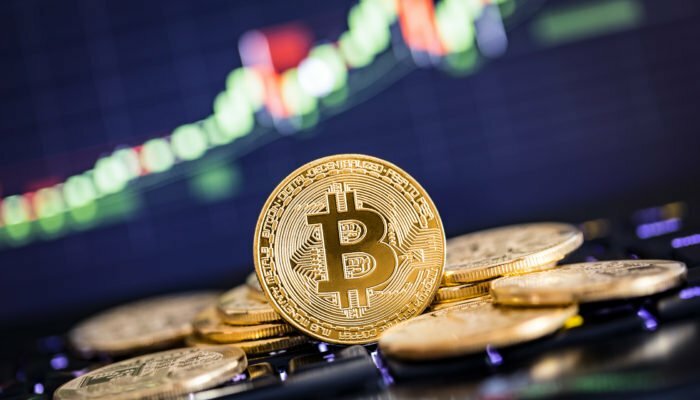 Although Bitcoin’s poor performance has led to turbulence in the markets, the entrance of institutional investors throughout 2019 may help to lift the markets back towards their all-time-high prices.